Galeries Lafayette opened a new branch in Paris last week. Located on the iconic Champs-Elysees, in an Art Deco building reimagined by Danish architect Bjarke Ingels in Chanel style, it draws on its inspiration for the Spring/Summer 2019 collection. 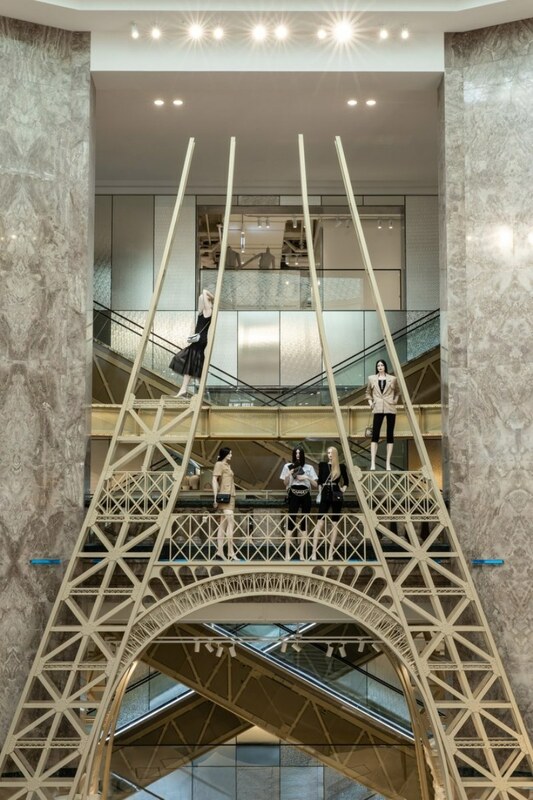 Inside Chanel recreates the perfect Parisian summer with a promenade in the middle of the store that leads to an amazing replica of the Eiffel Tower. Offering the perfect shopping experience one can find various symbols of the iconic French fashion house, which strongly evokes the creativity of the Chanel runway shows. Shoppers can also expect to find the label’s Spring/Summer 2019 collection as well as signature Chanel jackets, tweed tailoring and cotton shirts, a selection of Eaux de Chanel perfumes, and last but not least the signature accessories from the Metiers d’Art collection. The Chanel pop-up store is open until April 21, 2019.